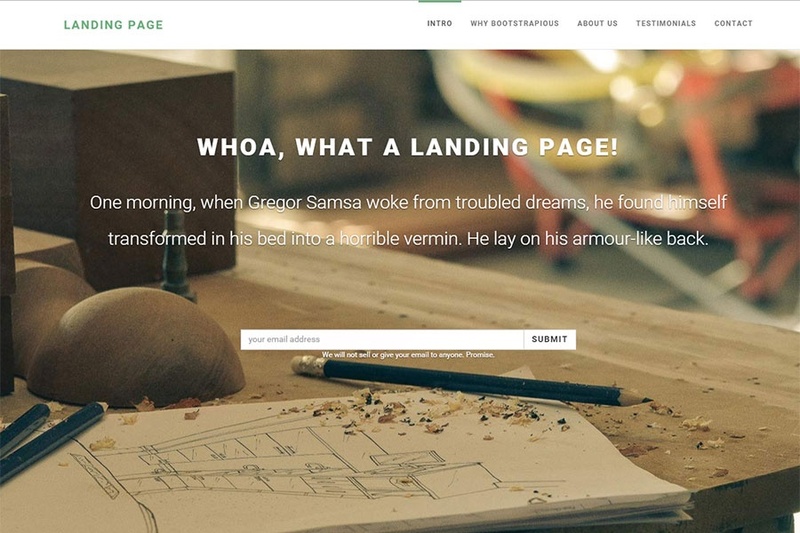 Our brand new Landing Page theme is great for introducing your service / startup / application to your visitors. Build with in our secret underground labs with Bootstrap 3: fully responsive, nicely coded and animated sections. Enjoy and have fun! Image credits go to: Ollie and Startup Photos.